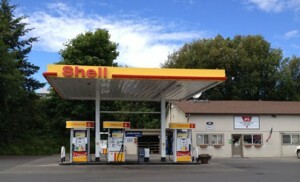 If you are looking for a quick and convenient place to get gas for your vehicle on San Juan Island, stop by IPS at 315 Carter Avenue, Friday Harbor. We are in-town, offer many types of fuel and our pumps are open 24 hours a day. We’re not a convenience store so there’s no waiting at the pump while someone shops. Our friendly staff is here if you need help pumping your gas anytime Monday through Friday from 7:30 am to 5:30 pm. Ethanol Free fuel (90 octane) – Ethanol Free should be used in all small and marine engines, and in all cars older than 2001. Full line of Chevron Oils, lubes, and greases available from the smallest packaging to bulk drums. Comprehensive line of additives and car care products. Open to everyone, you don’t need a special card or account. Customers can use cash or credit at the pump 24 hours a day. Pump #5 & #6 are equipped with a cash acceptor. If you do not pump the entire amount, bring your receipt in during office hours for your cash refund! Discounts for fuel purchases at the pump, paid with cash, check, debit card, Shell Gift Card or Shell Master card. We will never be shut down due to power outage. We’re not a convenience store. No waiting at the pump for others to shop for groceries or pick out videos. Home delivery of all our products with volume discounts. Open 24 hours a day to the general public.